La Vallée de I’Iton is located near d’Evreux, which is about 100km from Paris. 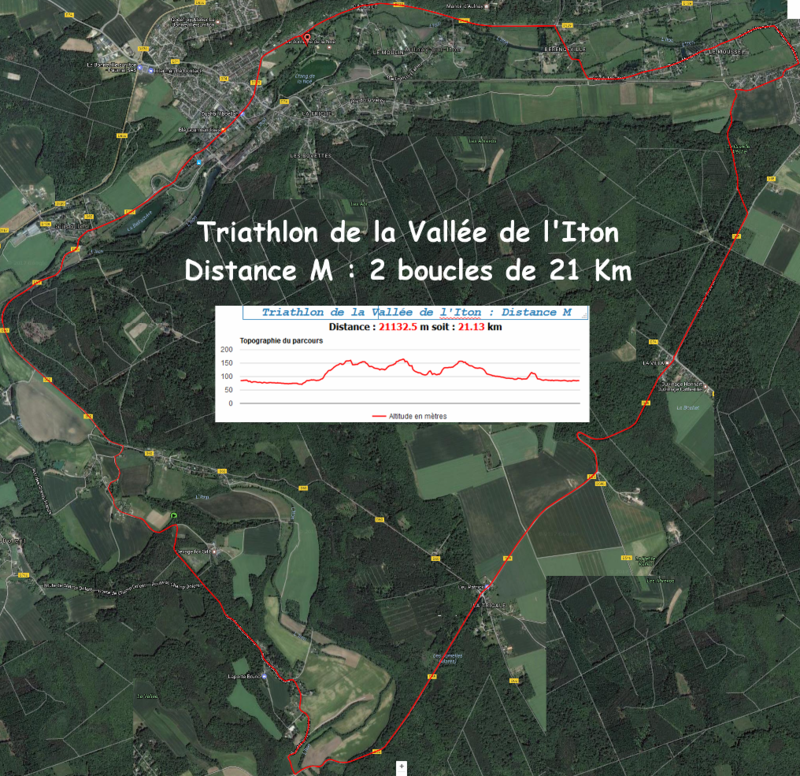 La Vallée de I’Iton Triathlon is holding its 14th edition this year. Two race formats wereavailable, S and M. For this year, I chose to participate in the M with my brother. The weather was perfect, 15°c and sun. Lake Noah for the swimming was at 18°c and the water was very clean! 2:40pm departure for the women. 5 minutes later, it’s the men’s turn. This is my 2nd triathlon and swimming is not my specialty… I choose to listen to my nerves and leave at the side to avoid any contact with other competitors. The 1500m consisted of 2 laps of the lake with an australian style exit between the 2 laps. Despite a departure where I found it difficult to find my rhythm, I was very satisfied with my swimming and finished in 28min with the transition (93/300). The bike part consisted of 2 loops of 21km with 150m of elevation per loop. The course was really great, very varied with small climbs and descents and with nice turns in the middle of the Normandy forest! I managed the bike in 1h13min and realized with an average speed 35mph I had the pleasure to go past a lot of competitors! Finally the running part is also done in 2 loops and was not quite 10km (9.55 km to the watch). After 3km I was caught by the eventual race winner “Robin Moussel”. He looked very comfortable! I tried to take advantage of his pace but it was very hard… I managed my pace to try to finish in 4min/km average. Finally it took me 38’24min with a 4’01min/km average, this gave me a position of 25th in running and 34th place overall! For next year a little work on the swimming and the encouragement of the Expatriates team of which I am the only representative of this year could assure me a top 15 place.